When we pull into the parking lot, we will find a space just for us. We can choose to sit anywhere in the auditorium. I can use a quiet bag during the worship service, filled with fun things to do! I can also take a children’s bulletin, with activities and pictures to color. There are even places for me to sit if I need a place to be calm! Many people will say hello, because they are glad to see us! 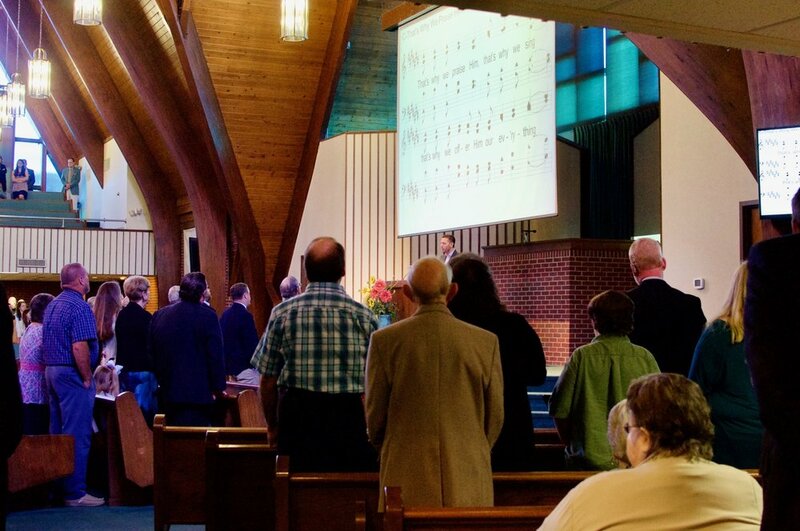 When the worship starts, we will sing (and I am welcome to sing along), and we will pray. During worship, the church will take the Lord’s Supper, which reminds us of Jesus and His sacrifice. There will also be a collection, but as a guest, I don’t have to put anything in – I can just pass the plate to the next person! There will be a sermon, which is when someone teaches from the Bible. After worship, I can go to a class designed for children my age! The Graymere church family hopes that I enjoyed worship. I am always welcome at Graymere!